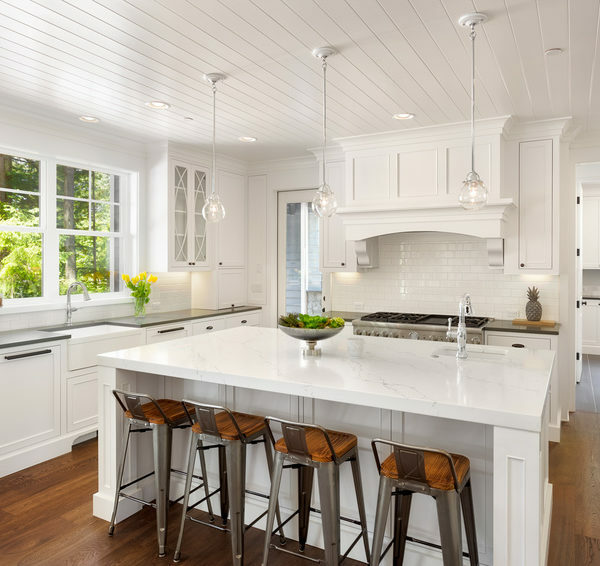 When crafting your perfect kitchen, you are likely searching for the best hardwood flooring, ordering the most efficient appliances, and envisioning functional countertops. The next item on your list? Kitchen cabinet design. Today’s kitchen cabinets offer customizable options for every aesthetic. If you are looking for ideas for your next remodel, consider this year’s top cabinet trends. Terrazzo is an ancient material that has been around for centuries. Fifteen-century Venetian construction workers created terrazzo to use when building patios. It was originally made from chips of marble and set in clay. In the 1950s and 1960s, terrazzo flooring peaked in popularity, and it’s now making a comeback. With terrazzo, only minimal cleaning is necessary because this flooring is non-porous and has no grout joints where dirt often accumulates — a definite advantage.